Rewards Canada: WestJet Rewards elite tier status tweaks went live today & our interview with WestJet about it! 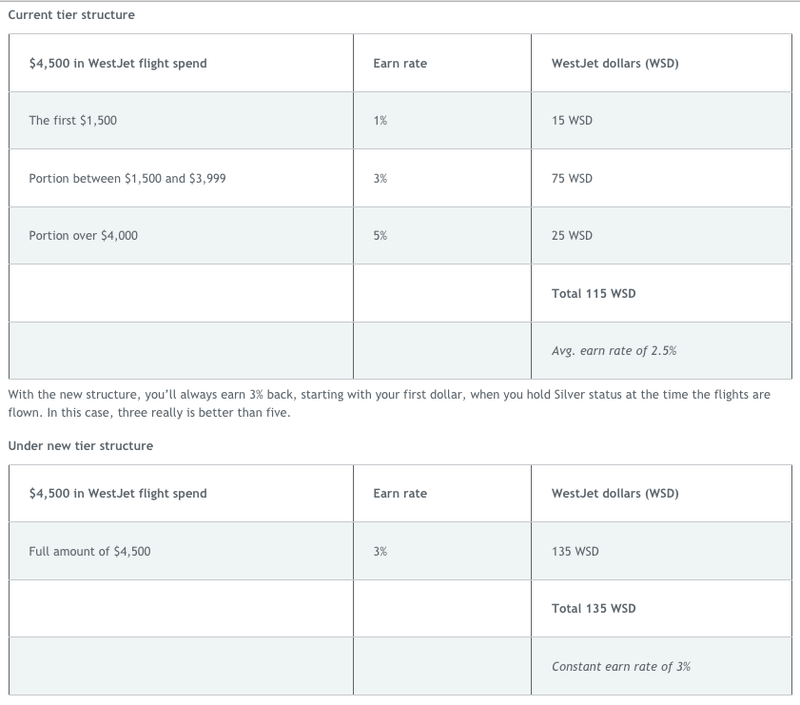 WestJet Rewards elite tier status tweaks went live today & our interview with WestJet about it! 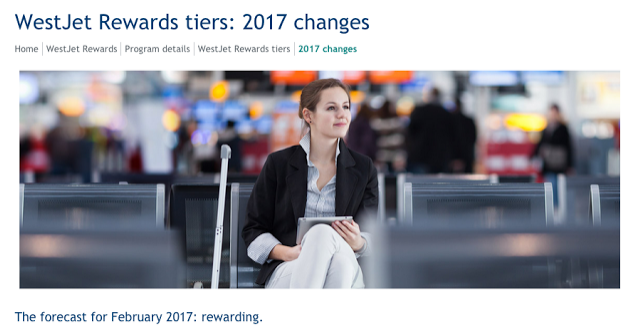 Back on December 1st we let you know about changes coming to the WestJet Rewards Elite Status tiers and those changes officially went live today. We had the pleasure of talking to WestJet’s Senior Vice President of Marketing & Digital, Marshall Wilmot about these changes and the future of WestJet Rewards on today's podcast. You can access the interview via our podcast page at www.rewardscanada.ca/podcast with links to iTunes, Google Play and Soundcloud where you can download and listen to the episode! First off you can see that now to reach Silver Elite status you only need to spend $3,000 with WestJet on flights within a 12 month period. That's down $1,000 from the current requirement. This should allow more people to hit the lower elite level status sooner. Teal or regular WestJet Rewards members are the ones who take the loss with these new changes. Gone is the increased WestJet dollars earn rate after hitting $1,500 as is the 35 WestJet dollars bonus when hitting the $1,500 Milestone award level. Silver Members also see a reduced earn rate of 3% instead of 5% leaving only Gold members earning 5% on spend. There is one big caveat with this however, when you have Silver or Gold Status and you hit your 12 months reset date on spending you earn rate will not drop down to 1% anymore. As long as you have Silver status you will always earn 3% and if you are Gold you will always earn 5%. This in reality only works well for those in that $4,000 - $5,500 range, spend more than that and you'll actually earn less until you hit that Gold Elite status at $6,000. For example if you spend $5,800 with WestJet, current Silver members would earn 180 WestJet dollars while under the new earn rate you would earn 174 WestJet dollars. This means a small portion of people in that $5,500 to $5,999 range will earn slightly less. Effective February 6, 2017 and until January 31, 2018 Teal members with qualifying flight spend between $1,500 and $2,999 will receive 3% earn on that portion of spend, which is the earn rate they would have received had the change not occurred. Effective February 6, 2017 and until January 31, 2018 Silver members with qualifying flight spend between $4,000 and $5,999 will receive 5% earn on that portion of spend for their current qualifying year, which is the earn rate they would have received had the change not occurred. Silver members who requalify for Silver when their qualifying year ends will automatically earn the constant 3% under the new program rules instead of the 1% they would have previously started with had the change not occurred. Members who enroll any time after changes come into effect on February 6, 2017 will be immediately subject to the earn rates. As a current Gold Elite member I am looking forward to keeping my earn rate at 5% for the whole year. How about you? What do you think of the changes?